Microsoft Expression Studio opens up a new world of creative possibility. Its professional design tools give you the freedom to make your vision real—whether you’re designing for standards-based Web sites, rich desktop experiences, or Silverlight. 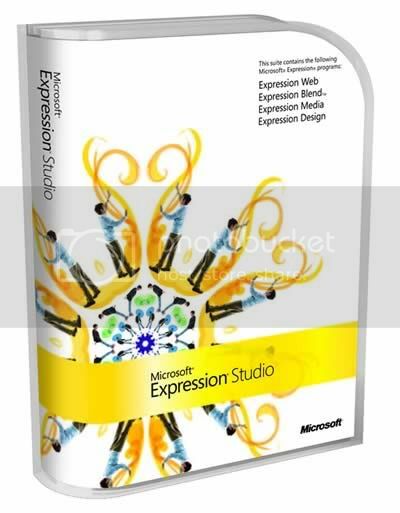 Includes Expression Web, Expression Blend, Expression Design and Expression Encoder. Design compelling user interfaces for the Web and desktop using Microsoft Expression, tools purpose built to compliment the industry leading development tool Visual Studio. Prototype your ideas rapidly, engage and interact with your customers and get your projects off to a flying start, then immediately bring your prototypes to life without throwing anything away. * Microsoft Windows® XP with Service Pack 2, Windows Vista™ or Windows 7 operating system.